VMware Fusion 3 on sale for $19 at Amazon, I finally get Belgian chocolates from Gazmaz of the UK. Michelle reviews Reminder from gravityapps.com and Evan reviews Ping! from pingmessaging.com. Buy your cables from monoprice.com for a steal. ScreenSteps is 40% off on Monday and Tuesday at screensteps.com. Full review of Screenflow 2 from telestream.net. Check out Honda Bob’s new website at hdabob.com. In Chit Chat Across the Pond Bart and I re-view the recommendation for Fluid with Safari for a site specific browser and change the recommendation to Mozilla Prism from mozillalabs.com/prism for Linux, Mac and Windows. Today is Sunday November 22nd, 2009 and this is show number 234. So I think it’s safe to say we’re getting into the holiday season and I’m just guessing that you’re the kind of people who might shop at Amazon. Let’s face it, we’d rather buy online than talk to real people in stores, right? Maybe everyone’s getting this way but nerds and geeks were afraid of the mall from the very beginning. If you’re going to do your holiday shopping at Amazon, please consider clicking through the Amazon link at podfeet.com. If you do, anything you buy once you get to Amazon will provide a small percentage back to help fund the show. Many of you have already done this and I thank you for it – it’s not a lot but if enough people do it, it starts to add up. I appreciate the support. NOTE: THIS DEAL HAS EXPIRED! On the MacReviewcast this week at macreviewcast.com I did an in depth review of VMware Fusion 3, which allows you to run Linux or Windows on your Mac. I’m not going to repeat what I said there but I gave it an enthusiastic two thumbs up. After the review aired, Bob Degrande wrote in about a spectacular deal running right now at Amazon – basically you can buy the old version 2 for $19 and get a free upgrade to VMware Fusion 3! Version 3 is $70 normally so this is an oustanding deal. I put a link in the shownotes to the deal (of course using my Amazon affiliate link! You do have to do a $10 rebate thing to get it this low but even if you forget to do the rebate you still get the version 3 for $29 instead of $70. If you even think there’s the remotest chance you’d like to try out Linux or run Windows 7 on your Mac, I’d suggest grabbing this deal. And no, they’re not an advertiser, I just like this software a lot! 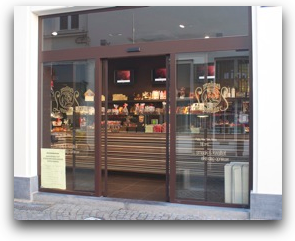 They were bought in Mechelen in Belgium, (shop picture attached), Taxi drive from Mechelen to Brussels Midi Station, EuroStar through Belgium and France to the St Pancras Station in London, underground journey to Paddington Station then a 4 hour train trip to Liskeard in Cornwall in the UK, then a car trip home to Northampton, taken to Rugby where I work, handed to Hedy (my boss) where she took them to Manchester for a plane ride to Nashville where she forwarded them onto yourself 🙂 Hope your enjoying them. Gaz. Now that’s dedication! These chocolates have been on a long journey, and they taste fantastic! I’ve been very stingy on who I share them with – Steve and Margaret made the cut but I didn’t even consider taking them to work to share. Why is it that in the US we come out with Hershey’s chocolate which is just about as interesting as a wax sample, and europe can create these dreamy creamy delights? I’m savoring them, and will enjoy every bite! Thanks Gaz! Michelle – this is the cutest little application. I downloaded it, put in a reminder for one minute later. It showed me what time it will be when the alarm will go off (not 1 minute from now, but 2:38pm). I popped open BusyCal and just like they promise it put the reminder in my calendar in a category called Reminder. Talk about doing one thing and doing well, now I just have to remember to set the reminders! Thanks for sending this Michelle, you should do more reviews like this! Have you bought a big screen TV lately? or maybe a new AV receiver, and gone into a big box store to get the HDMI cable you need? And then you got up off the floor from giggling insanely because you thought the sales guy was kidding when he told you the price. Or maybe you wanted to hook up a DVI monitor to your new Macbook and Apple told you that teeny little adapter was $25? I have a solution for you, a site called monoprice.com. These guys have amazingly low prices and don’t even rip you off on shipping. I’ve bought HDMI cables for under $10 that are perfect. Don’t tell Kyle, but I bought him a new Dell LCD for Christmas that has a display port connector. That’s great, since the MacBook he has has a display port too, but it’s a mini-display port actually. So I knew I could buy a display port cable and an adapter from Apple for a kings ransom, but I went over to Monoprice instead. I got a little tangled up, tried to decide if I should get the regular display port cable plus an adapater, or maybe they had a mini-display port to big display port cable. 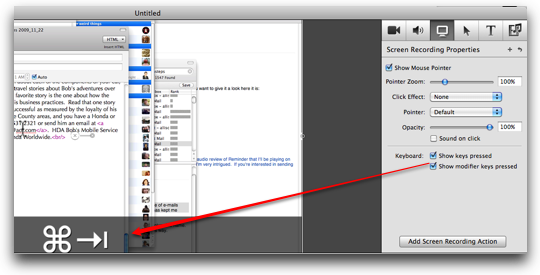 Then I saw the “chat live” button, so instead of trying to figure it out on my own I clicked the button. In about 10 seconds my new friend Mark came on the line and instantly showed me the link to a mini to big display port cable. For $4.15. Shipping was $1.73. Seriously. Great site, great products, incredibly low prices, AND great customer service. What more can you ask? Check them out for all your cable needs – and look around at what else they have, like TV wall mounts too. Go to monoprice.com. And no, that wasn’t a paid ad, but maybe I should ask them about advertising, it would be so easy! Hi Allison and Nosillacast listeners. Its Evan from Colorado coming at you with another review of a great iPhone app. This weeks app is Ping! by Gary Fung. Lets start with a potential problem. If you are like me the $69/ month is enough to pay for your monthly iPhone bill, and even if you get the basic texting plan for $5/month, you only get 200 text messages, which you burn through pretty quickly. This app is also great if you have an iPod touch but want to send text-base messages to your friends and family. Basically what Ping! is is a replacement for your SMS service from the cell provider. The interface is very smiler to the messages app that comes with your iPhone. But the catch is that you can only send messages from Ping! to other people who are using Ping! As of right now this limits you to talking to your friends with iPhone, and I believe I heard somewhere there is a Blackberry client, but I have no proof of this. When you launch Ping! for the first time it asks you to pick a Ping! name. Assuming someone else does not pick the same name as you you just type it in and hit GO, and your all set. If you have picked the same name as someone else you will be asked to pick a different name. Also the first time you launch Ping! you will be asked if you want to allow or Deny Push notifications. If this is turned on you get a pop up alerting you of a new message no matter what you are doing on your iPhone, even if the app is not open. In the upper right there is a “New message” button. Hit that and you are prompted to enter your friends Ping! name. once you do you just enter your message in the message field and hit send. thats it. After you have entered a friends name it will remember them and keep track of your conversations, just like the default SMS app does. In the lower left there is the settings button. In there there is the option to unregister you Ping! name, in case you want to register a new name. There is also the option to turn sounds on and off, and vibration on and off. From the main screen there is an envelope icon in the lower right. 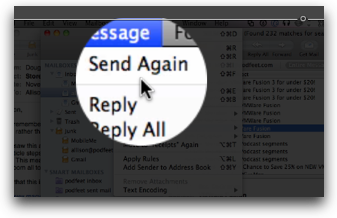 If you tap that you are thrown into a new email message with the “To” field blank, and in the body of the message it enters a link to download the Ping! app from iTunes, along with a description of the app. It also tells the recipient what your Ping! name is, so they can ping you. Thats about it. Ping! is a very simple SMS replacement for your iPhone or iPod touch. I have not had a single problem with it and it has been very reliable for me. As long as your friends are on Ping! the only reason I can see to use the standard SMS messaging is because I can’t seem to find a way to send MMS’s, or multi media messages with photos. Thanks Evan, this sounds like something I could use because I’m too cheap to pay for more than the 200 text messages. At first I thought it was kinda dumb because you can only text to other people on Ping! but all you have to really do is get the people you text with a LOT to get on Ping! and the rest of your friends and more occasional texters can live in the 200 text message plan. So lets say Kyle and I text a lot (which we do), and he’s on an iPhone, if I could just relieve the pressure on my text plan by moving him to Ping this would be a great way to solve my text overage problems for only $1 (which I’d make up in the first month!). I did some research and it turns out people refer to Ping! for the iPhone to be the equivalent to Blackberry Messenger on the Blackberry. 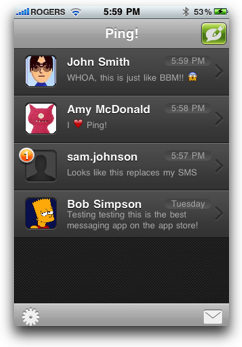 It also allows you to message directly between Blackberrys without invoking text or sms messages. Ping! brings that same capability to the iPhone but neither of these applications crosses the boundaries between phone manufacturers. I did find out something else fun about Ping! – it works internationally. So Bart and I could Ping! for free across the world. I’m SURE Bart’s just dying for yet another way for me to send him messages like, “what WordPress file is it again that holds the title information for my blog?” Thanks Evan, great review as always. “Last month we had our biggest sales month ever and last week we had our biggest single sales day ever, so to thank everyone for their support (and to generate more sales) we are having a Thanksgiving sale. But this isn’t your standard sale. It gets stale over time. Friday -stale – 10% off. Now for Monday through Wednesday that’s a better deal than the NOSILLA discount, but my coupon is only good on the desktop software, so if you’re in the market for a ScreenSteps Live account Thursday and Friday are still good deals – but what the heck, but on Monday! Check all this out at screensteps.com. Back in March of last year I did a full up review of Camtasia Studio for Windows and then the newly announced Screenflow for the Mac both of which are video screencast applications.. Just recently the folks at telestream.net released ScreenFlow 2 and I couldn’t wait to get my hands on it to see how this product has advanced. I reread my review from last year so I could remember how much I liked it and what room for improvement I might have seen. The very top on my list of things I wanted improved was that they didn’t let you see visually the audio track. I use the visuals on audio quite a bit to figure out where to cut a clip – like if the doorbell rang or I sneezed or something so not having that was a big issue for me. I was also disappointed with the lack of good callouts like what was available on Camtasia Studio for Windows at the time. I did point out that Camtasia Studio for Windows was $300 and ScreenFlow was $100 so overall I gave ScreenFlow a B+ at the time. Let’s see how it fares this time. The very first thing I checked was whether I could see the audio track and to my delight it was immediately visible. While that’s good, it didn’t show me much I could really work with – the wave form is so short vertically that unless I YELLED into the mic I couldn’t really see the variations. So technically they did as I asked but it’s not terribly useful for editing. What they did add that’s terrific is the ability to split an audio track out from a video track. Here’s the problem that solves, you go through ten minutes of screen recording and then realize you were talking into the mic. No worries, split the audio out, delete it, and then do an audio only recording (this time on the RIGHT mic) while watching your newly made video track and drop it right in. You can use it for fixing a tiny mistakes too – I can picture a lot of reasons I could use this. They’ve added a several new tools to the audio menu – you can control the volume, set up ducking (say to bring down the music volume while you’re talking and then bring it back up when you’re done. You can add several special effects which are mostly annoying – like you can make it sound like you’re in a big echoey cathedral. Can’t quite see how that would enhance your viewers experience or learning. Another feature I thought was missing from ScreenFlow was the ability to add text callouts to the videos created. ScreenFlow 2 does add this capability, but even better they added what I really wanted, which is a button that records your keystrokes and modifier keystrokes on the screen automatically. Let’s say I click command-c to copy, on Camtasia Studio for Windows i create a text call-out and type in that command and adjust it onscreen to show my viewers what I was doing. with ScreenFlow 2 it comes up automatically if I want it to. Excellent feature and well implemented. In that same menu you can have it record the sound of your clicks which sounded like a good idea but it’s just awful! Three words: Don’t do it. A complaint I had with ScreenFlow 1 was that you couldn’t change the height of the tracks area to see them all, but now you can adjust the height of that area. So far they’re batting a thousand on fixing what bugged me. Should I claim I designed ScreenFlow 2 like those Windows 7 commercials? At this point of my usual poking around I found they had a tutorial complete with a tutorial video recording so you could follow along. I loved it, learned a TON about how to use the software, but it was too short. I wanted to keep going, and you know for documentation to be so good that I wanted to keep reading and playing along it must have been fantastic. In desperation I started scanning all of the Key Mapping options. This was cool because if they had a keystroke for something then it must be something fun to do. I found out how to jump to the beginning or end of a clip, jump to a marker, put in a marker, all with keystrokes. One of the keystrokes showed you out to define out and in points. This made a selection of your tracks all turn blue. I have no idea what else it did, and a search in the help file for in/out points didn’t reveal the mystery of what these things are. I did learn how to jump to the next in/out point with a keystroke though! I really like how ScreenFlow allows you to zoom in on the cursor, highlight the area, make the cursor really big for easy viewing, even blur the edges of the highlighted area, and once I watched the tutorial I got a good handle on how to control it. Really nice way to make things clear to your viewing audience and draw their attention to a menu or a pulldown. Camtasia allows you to zoom the entire window up to show the area you’re highlighting which I think looks a little better than the way ScreenFlow does it – instead of a circular area you have a rectangular area highlighted, and since menus are usually rectangular this looks a little more natural. I think ScreenFlow is slightly easier to control however so making these callouts might be a bit easier. Telestream has built in the ability to do some odd things with your video – you can rotate it to the right or left sort of putting it in perpective, or rotate it about the axis coming out of the screen so you’d have to tilt your head to watch. I can’t think for the life of me why they put this feature in. I remember in the Camtasia for Mac review I found some tools to do goofy things to the video that also seemed like they put them in because they could, not because anyone should ever use them to help convey information in a screencast! There are a ton of small improvements to ScreenFlow that I did play with like how you can stretch a clip and change it’s speed – again one of those things you should use with caution as it changes the pitch of an audio track, it should work fine on video only, maybe giving you a little more time to describe it if you’re adding audio after the fact. They also made modification of clips easier by adding a contextual menu if you right click on a track. Once you’re done messing with a clip you can lock it so it doesn’t get boogered accidentally. It’s been great fun watching Research Assistant Niraj and Honda Bob getting to know each other. It started with Honda Bob helping Niraj with his car, but now that Niraj has rebuilt Bob’s website in WordPress it’s been even more fun. Bob is a geek through and through and he’s really enjoying putting more and more great content up on his website at hdabob.com now that it’s easy AND beautiful. On this site you can learn about each of the components of your car, troubleshoot problems and read fantastic travel stories about Bob’s adventures over the years in his Travel Stories section. My favorite story is the one about how the Bureau of Consumer affairs investigated his business practices. Read that one story and you’ll get a flavor for why Bob is so successful as measured by the loyalty of his customers. If you live in the LA or Orange County areas, and you have a Honda or an Acura, give Honda Bob a call at (562)531-2321 or send him an email at hdabob@aol.com. HDA Bob’s Mobile Service is not affiliated with Honda, Acura or Honda Worldwide. Review of how Fluid works with Safari – luckily Tony sent in an email of how Safari shares cookies even when you create a Fluid app, so this is not a good solution for online banking, you’re not really creating a Site Specific Browser. Bart and Tony went back and forth a bit and Bart was able to confirm Tony’s testing. A twitter poster provided an answer – instead of Fluid, use Mozilla Prism from mozillalabs.com/prism. It works just like Fluid but is cross platform to Linux, Windows and Mac, and oddly even though it’s created by the makers of Mozilla, it works properly with Safari to create a site specific browser (Bart confirmed). I guess I’ll wrap up with my wishes for a peaceful, safe and calorie filled Thanksgiving for my American friends and maybe you in other parts of the world can enjoy a cranberry or some stuffing even though it’s not your holiday. Any excuse to eat! Be sure to keep up all the great emails by sending them to allison@podfeet.com and follow me on Twitter at twitter.com/podfeet. Thanks for listening, and stay subscribed. Hi allison, first off what a great podcast you do, in the past I listened to Leo, but I have the same feeling about his podcast as you have and it’s great to have found yours. This about Mozilla Prism, I did Fluid app last week that I loved for banking and 1password works great in it. but Mozilla Prism does not let you use 1password so you don’t get the security from that and my password is long so I don’t want to type it in. Can you ask Bart for another tip or I’ll go back to Fluid for banking. I own VMWare 2 and Parallels 4. I switched to Parallels after seeing that head to head Parallels 4 was faster and had better integration. When VMWare 3 came out I used it for 2 weeks and found it very good, though still a bit buggy. VMWare excels at ease of use and setup. When Parallels 5 came out I downloaded the trail and that is what I ended up paying for an upgrade to. Parallels stills has the edge speedwise and integration. The Virtual Disk being accessible to the finder directly is a feature that I had hoped VMWare would implement. It has even more integration options such as even making Window’s windows look and operate like Mac Windows as far as the actual title bar goes. It’s great though that two such solid programs are available for the Mac. As a Windows developer I am forced to have to run windows, VMs on a Mac at least this is a pleasant experience. Niraj has done a great job with Honda Bobs site. I wish there was such thing as a SAAB Bob! My daughter has a 1999 Saab 9.5 and as my friend warned me the day she purchased it, get ready for Saab (sob) story after Saab story. A year later he was correct. Hello – thanks from the UK for your excellent podcast. I popped into my local apple store this weekend to get a mini display to vga adapter for my macbook pro – it was £20 (at todays prices, that’s $33!!!!) so I thought i check out monoprice to see if they ship to the UK. But… they are closed for the holidays!! What? Have you every heard of an online store closing for a public holiday? Nuts! Interesting tidbit about “Ping” However your hope to include Bart is likely to wishful thinking. After all $.99 is way to “expensive” for Bart.